So, you need to conduct an online survey. You are probably in need for a way to find out more about your customers or employees or a product. Probably there are questions in your mind that you would like answered. Creating an online survey is indeed what you need to do. Writing great questions for your survey is like an art that requires a lot of practice. It’s never easy to have people answering your survey and for sure you would like to have as many responses as you need and you would like those responses to be accurate. To be able to do that, you will need to pay a great deal of attention to your questionnaire. But what if you can get some free help when creating your online survey? Wouldn’t that be wonderful? Online survey software platforms available on the internet today try to get more customers not by just providing a survey software application, but also by providing a whole set of additional resources that might help the users with their needs for online surveys. On almost any professional survey site, you will be able to find articles, tips and tricks about online surveys and most of all, you will be able to find online survey examples or questionnaire templates, as some people might call them. So, it’s not very hard to find free questionnaire templates. Study the resources we’ve pointed out in this post, take a look at a lot of survey examples and decide on your own which are the best survey questions that you should use when you create your online survey. For more details about online survey sites and free questionnaire templates, visit http://www.survey-reviews.net. Nice list! How about http://www.mobosurvey.com? It has templates as well. It also has great mobile support. The online survey and polls can be accessed on mobile phone with native app look and feel. It is a lot of rubbish and the surveys are not Anonymous. I had been asked to fill it out at work. I have not put down anything compromising to my work. The replies have been clearly visible to my manager without names! As my first language is not English any unwelcome comments that have been made by a non native English speaker can be attributed to me! So it has brought up more issuues and job insecurity just by filling out this form and being a non native speaker! @Dawn if you were identified by your language, that does not mean that the survey was not set to be anonymous. 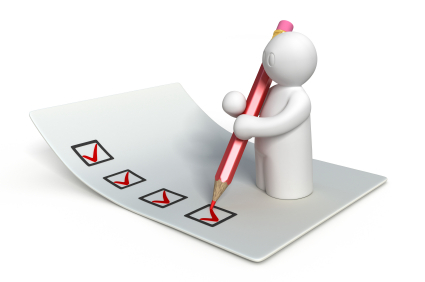 An anonymous surveys means a survey that is set in a way that the survey administrator cannot identify the respondent. To achive this, the survey software does not record anything related to the respondent (email, IP, etc). In your case, you were identified by some comment you made. Sorry, but that not the fault of the survey tool.